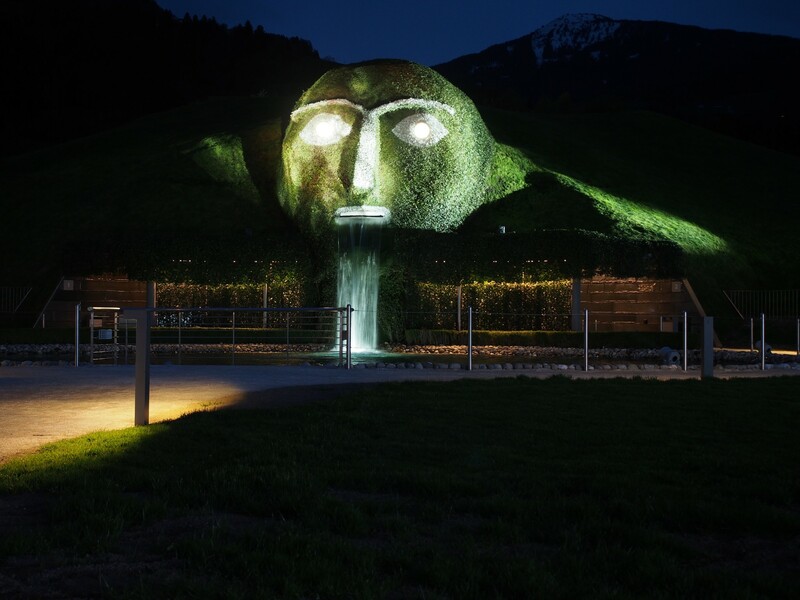 On April 30th 2015 the Swarovski’s Crystal World park extension opened it’s doors for the audience. 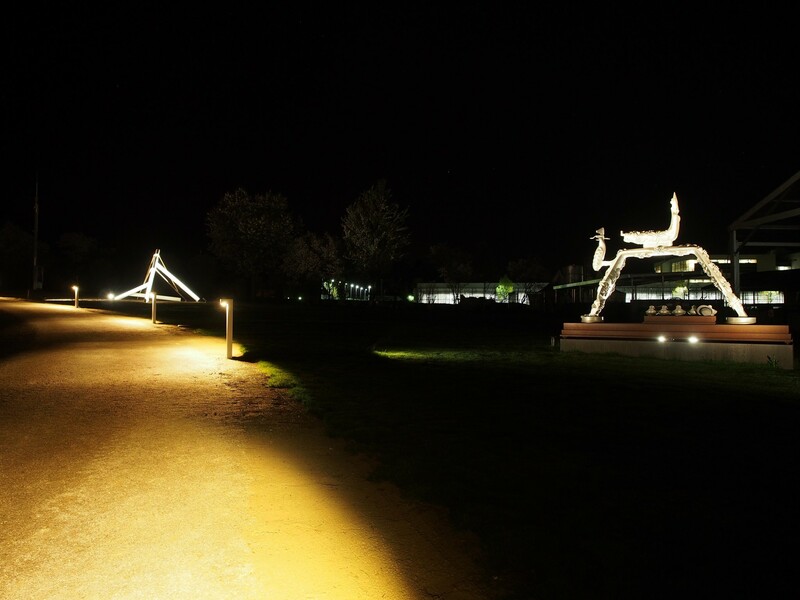 The Theatermachine was responsible for the lighting design for this extension. The master plan for the extension was made by landscape architects Andy Cao and Xavier Perrot for CAO PERROT Studio. 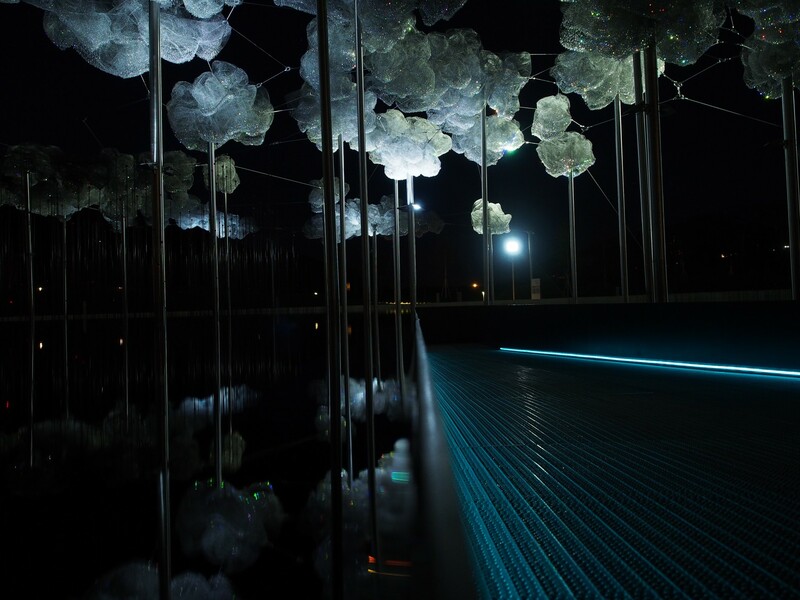 Theatermachine made the lighting design for several parts of the extension: Crystal Cloud, The Giant and the parks’ outdoor artworks. 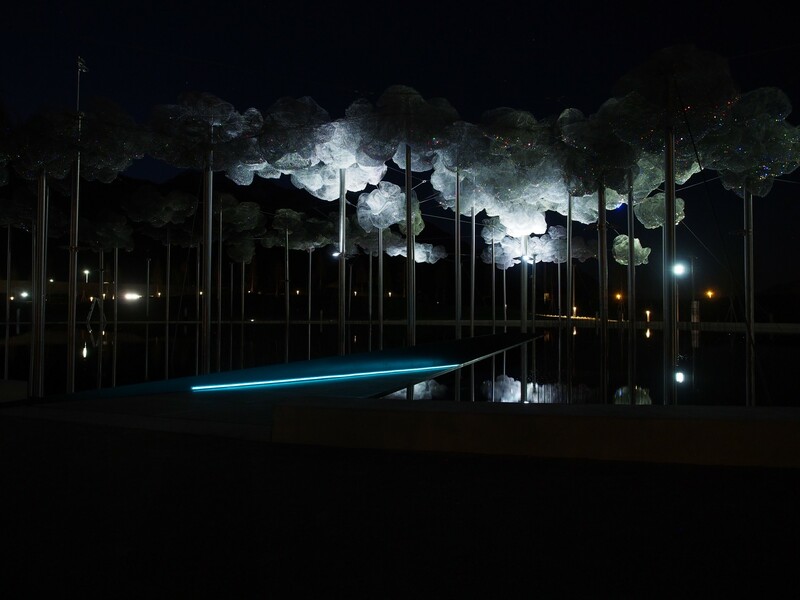 CAO PERROT designed a bowl-shaped landscape with a black pond in the centre. The ripples of the water are continued by a rippled landscape surrounding the pool. Visitors slowly descend into this landscape through pathways that eventually lead to the middle of the pond. 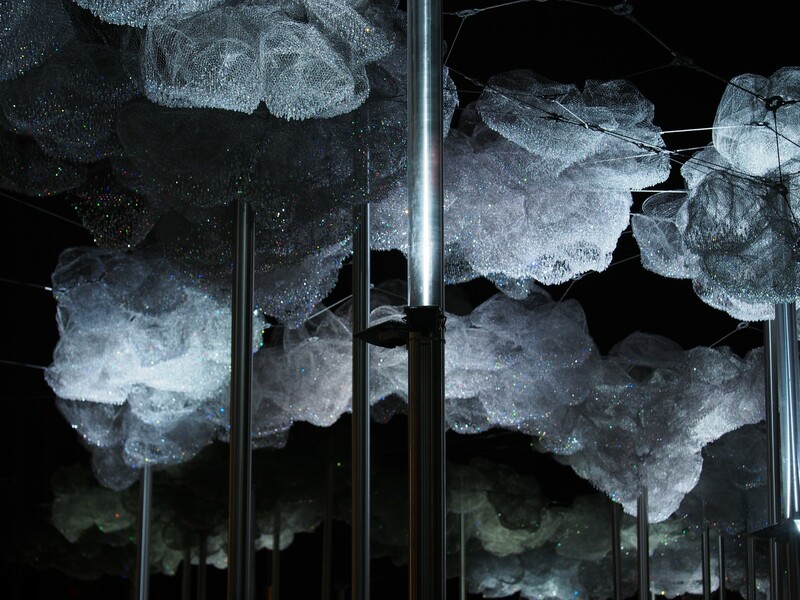 Above the visitors, a cloud with 800.000 Swarovski crystals creates a continuous play of light and space. 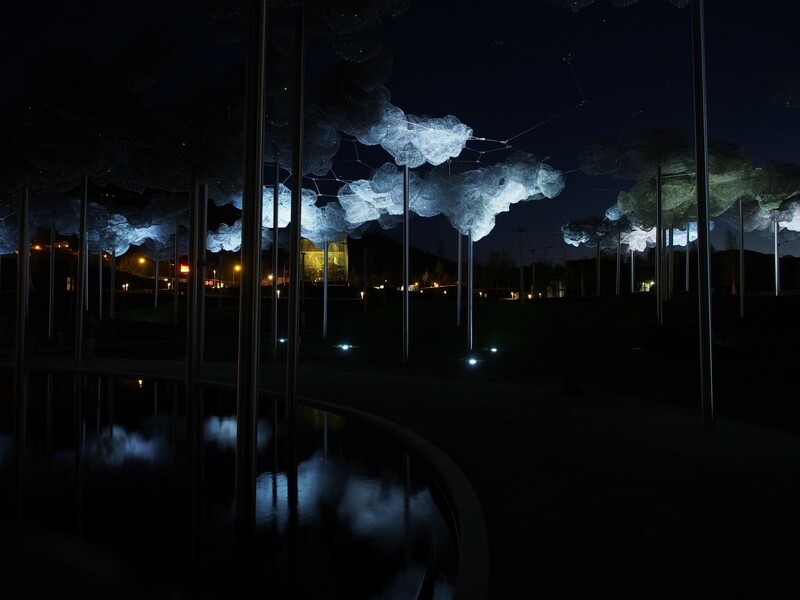 Theatermachine created a lighting design that emphasises the organic shape of the cloud. In a continuously changing landscape the light suggests that the clouds are slowly drifting. The subtle play of sidelight and uplight transform the mood of the cloud from drifting to moonlight that literally sparkle’s the landscape. 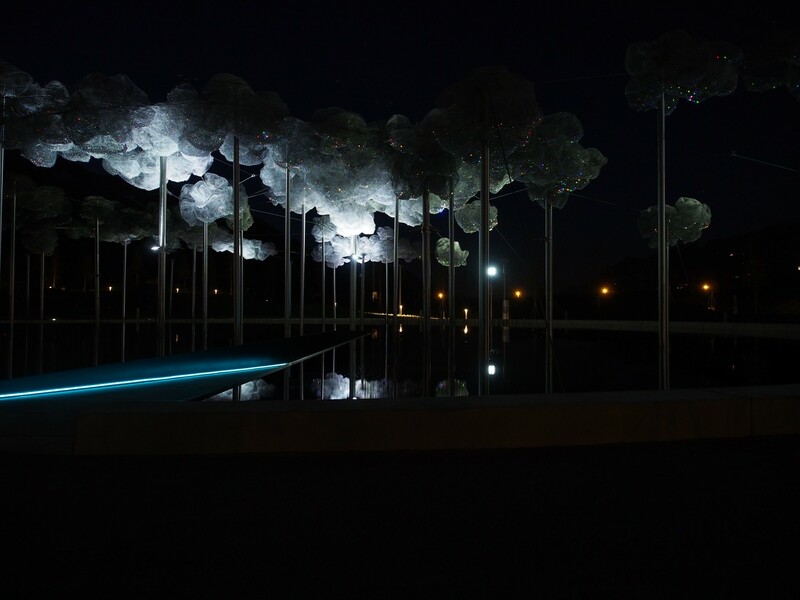 CAO PERROT’s attempt to slow down the experience of the visitor is emphasised by an intervention in the lighting sequence. At set times a sudden burst of warm white light falls through the cloud. 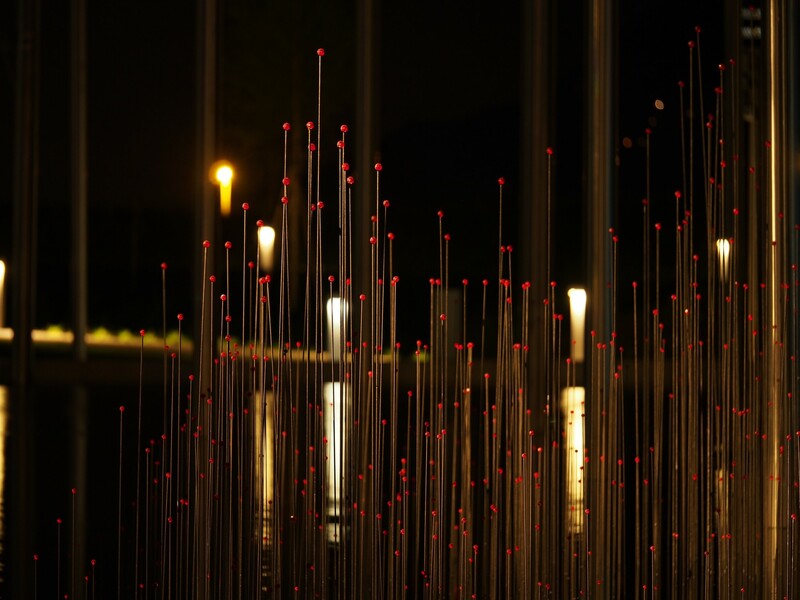 This light hits a spot in pond where the artists placed hundreds of small red crystals (as if they where fireflies) and their apparent subtle reflections are artificially mimicked by a red twinkling light in the nearby clouds. This moment of intervention lasts only for a short period of time and tries to create a larger awareness of time and place for the spectator. 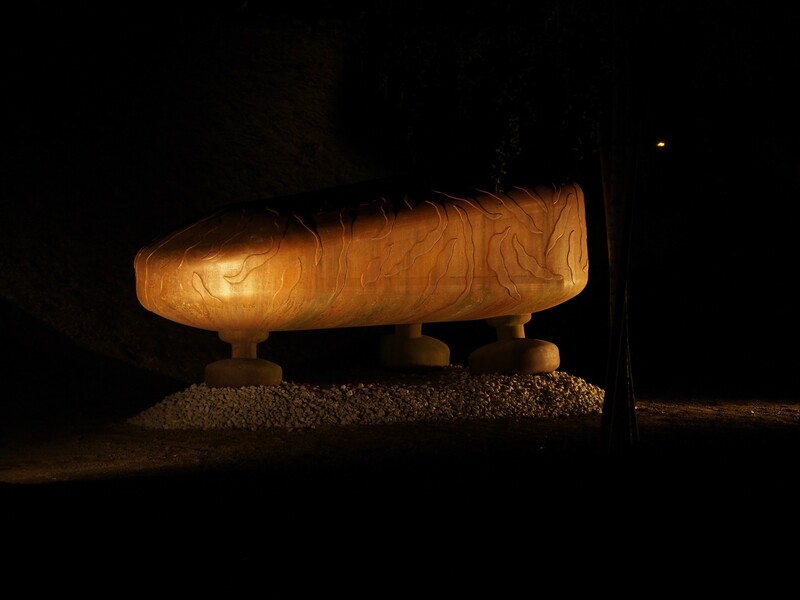 The giant has been the iconic image of Crystal world for the last 20 years . 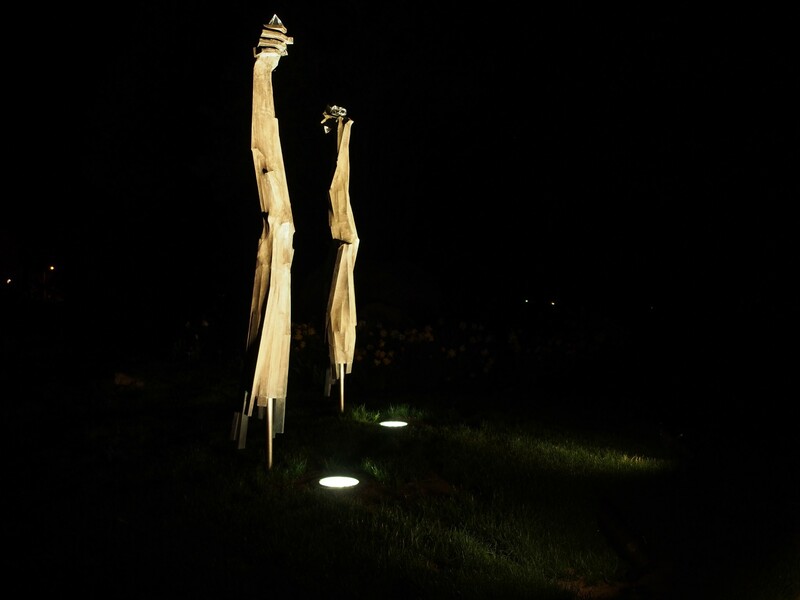 Theatermachine created a light design that gives the giant a friendlier face while adding more depth and structure. We used a slowly ever-changing light that suggests a connection between the Giant and the Crustal Cloud. The colour of light resembles the moonlight and creates the illusion that the Giant is looking at the Cloud. 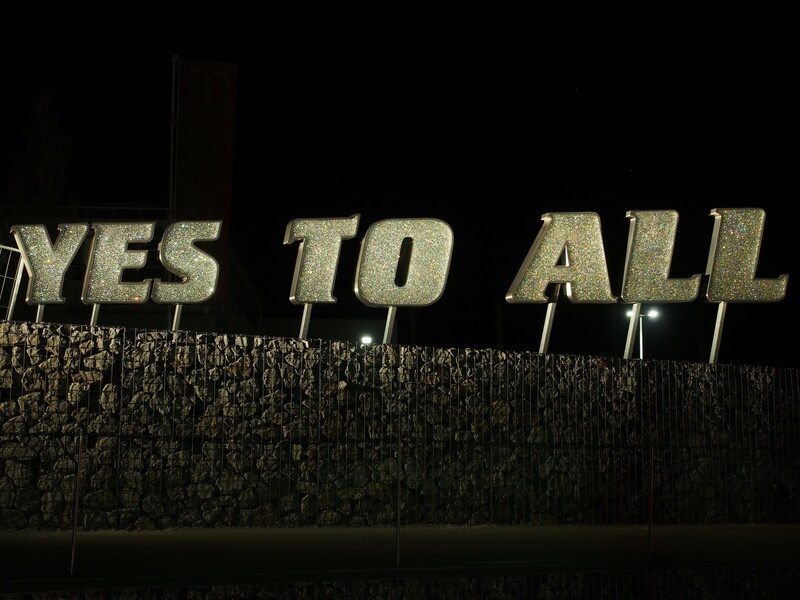 The artworks are all lit from the same basic concept. 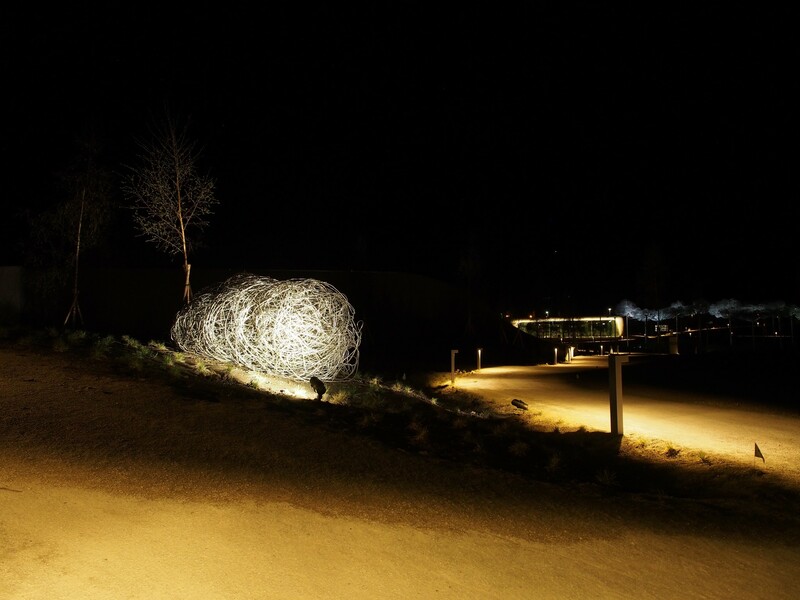 All artworks are lit from the ground to keep the landscape as clear as possible during the day and they are almost all lit from two sides with a contrasting colour temperature. This emphasises shape and contrast to the structures. 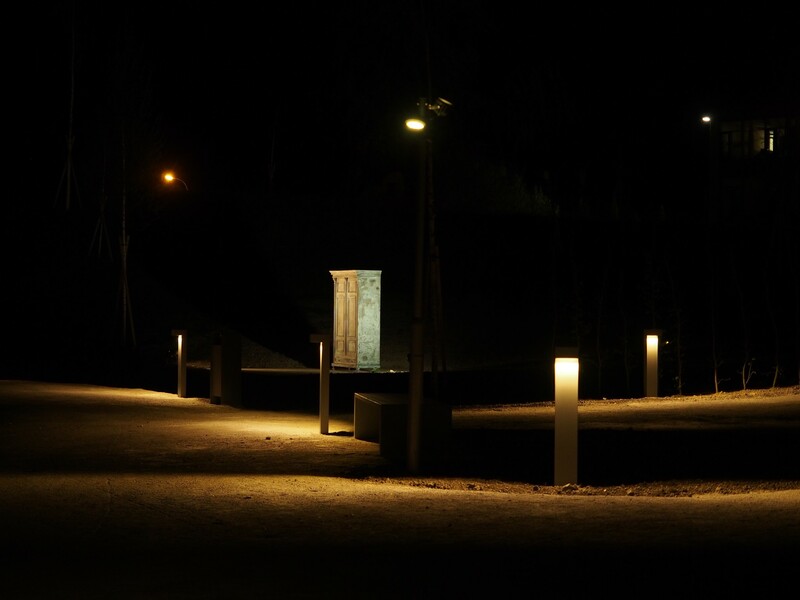 Optics, distance and beam angles are adapted on site to create a light imagine in which we light as little of the surrounding as possible.